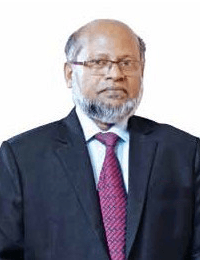 The Institute has organized a demonstration programme on “Chartered Secretary as a Challenging Profession in the Corporate World” for the students of Faculty of Business Studies, University of Dhaka at Professor Dr. Mohammad Habibullah Conference Hall on Monday, April 08, 2019 at 11:00am in collaboration with the Faculty of Business Studies of the said University. Mohammad Sanuallah FCS, President of the Institute was the keynote speaker of the programme. He welcomed the bright and the potential students of University of Dhaka for participating in the session and discussed the necessity of professional degrees in addition to academic degrees for accelerating career success. He highlighted the prospects of the Chartered Secretary profession in our country and abroad. He briefly discussed CS course curriculum, classes, and examination system and membership process. 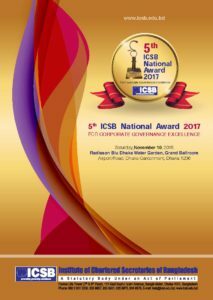 He also said that the Institute of Chartered Secretaries of Bangladesh (ICSB) was established by the Parliament under the Chartered Secretaries Act, 2010 to develop, promote, and regulate the profession of Chartered/Company Secretaries in Bangladesh. This Institute runs under the administrative control of Ministry of Commerce. 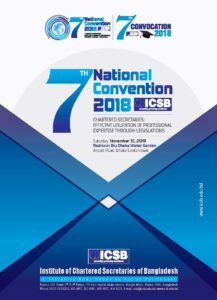 ICSB is the premier body to develop the profession of Chartered Secretary/Company Secretary to ensure sound corporate governance and build up corporate management by creating skilled professionals in the corporate management of the country. ICSB conducts a two and half year professional course. 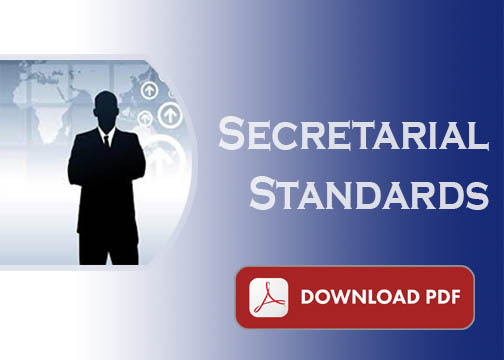 There are more than 510 Chartered Secretaries serving in different reputed national and multinational companies in Bangladesh and around 5000 students are studying CS course in this Institute with the hope to pursue the profession of Chartered /Company Secretaries in future. Honorable Professor Dr. Mahfuzul Hoque, Deputy Programme Director, MPA Programme, Faculty of Business Studies of University of Dhaka graced the occasion as Session Chair. He thanked President of ICSB for taking the initiative to orient a challenging and rewarding profession to the students. He emphasized the importance of the Chartered Secretary profession. He also mentioned that such kind of programmes need to be arranged regularly thus students can take informed decision about their career. Faculty of Business Studies and ICSB are interested to sign a MoU for sharing knowledge and other relevant mutual support. A good number of students and faculty members were present in the program and participated spontaneously during the question and answer session. Students asked various relevant questions regarding CS course and profession. Participating students showed interest in the Chartered Secretary profession. Mr. Md. Selim Reza FCS, FCA, Vice President of the Institute delivered welcome speech and cordially thanked everyone for participating in the befitting event. Among others, Mr. A.K.M. Mushfiqur Rahman FCS Council Member of the Institute participated in the programme. Mr. Md. Shamibur Rahman, Secretary in Charge of the Institute delivered vote of thanks on behalf of the Institute.